A year into my first tech job, I found out that two men on my team were being paid $10,000 more than me. I was shocked because we had the same job title, similar experience, and had been hired around the same time by the same hiring manager. While we all received the same initial salary offer and all attempted to negotiate, they were able to secure a higher base salary while I was not. My story is frustrating and disheartening, but it’s far from uncommon. While one could argue that awareness and engagement around women’s issues are at an all-time high, many of the metrics that point to the progression of gender equality have barely budged in recent years. Today is Equal Pay Day, which symbolizes how far into the year women must work to earn what men earned in the previous year. 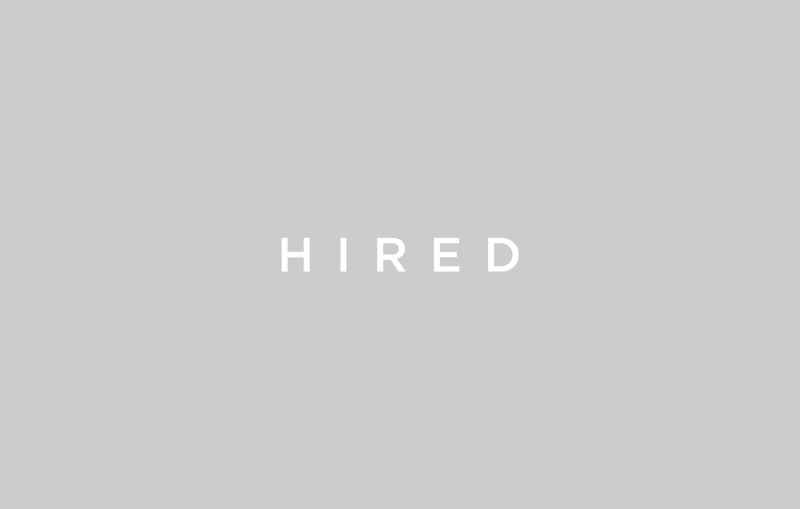 At Hired, we feel a responsibility to our clients, our employees, our candidates, and the hiring industry at large to serve as a catalyst for a more inclusive and equitable workforce. That’s why for the second year in a row, we’re releasing data and gathering leaders in the tech community to shed light on the gender wage gap — an issue that is improving so slowly that women aren’t expected to receive equal pay for equal work until 2152. 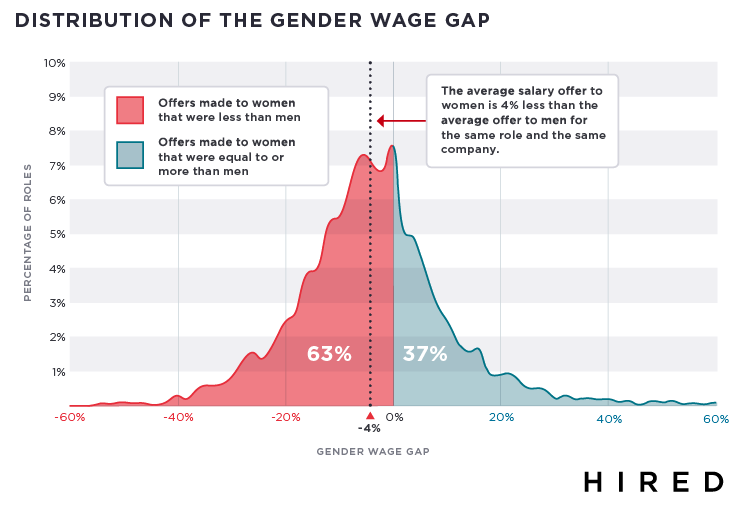 In fact, data released today from our 2017 “Women, Work and the State of Wage Inequality” report shows that 63% of the time, women receive lower salary offers than men for the same job at the same company. For one out of every ten job openings we analyzed, companies offered men salaries that were more than 20% higher than those offered to women. The effects of gender bias influence access to opportunity as well: 53% of the time, companies only interviewed male candidates for a given role, whereas the reverse was true just 6% of the time. Long-term, these kinds of biases may explain why U.S. women working in STEM are 45 percent more likely than their male peers to leave the industry within their first year. 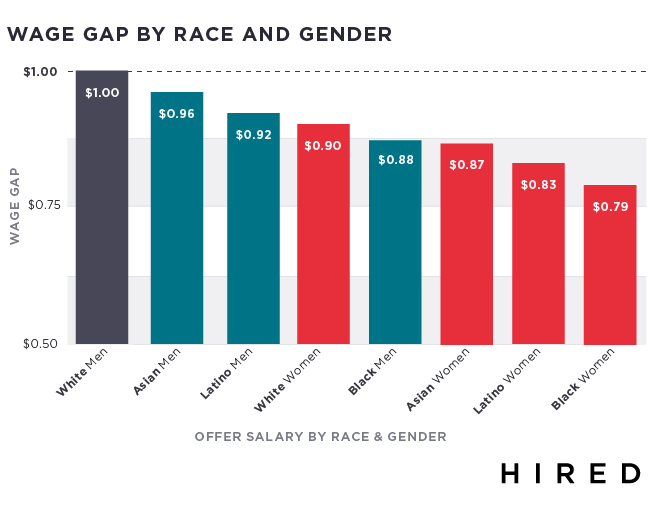 The way women with intersecting underrepresented identities are impacted by the wage gap has not been studied as thoroughly; that’s why this year we explored how race and LGBTQ status intersect with gender to affect salaries and salary expectations. What we found is that on average, white men are offered the highest salaries and black women are offered the lowest salaries. In fact, the gap between white men and black women is 21%, which is twice as large as the gap between white men and white women. Overall, men of all races receive higher salary offers than women with one exception: white women make two percent more than black men. When we examined the effect of LGBTQ status, we found that non-LGBTQ men outearn all other categories, followed by LGBTQ men, non-LGBTQ women and finally, LGBTQ women. Salary expectations followed the same pattern. 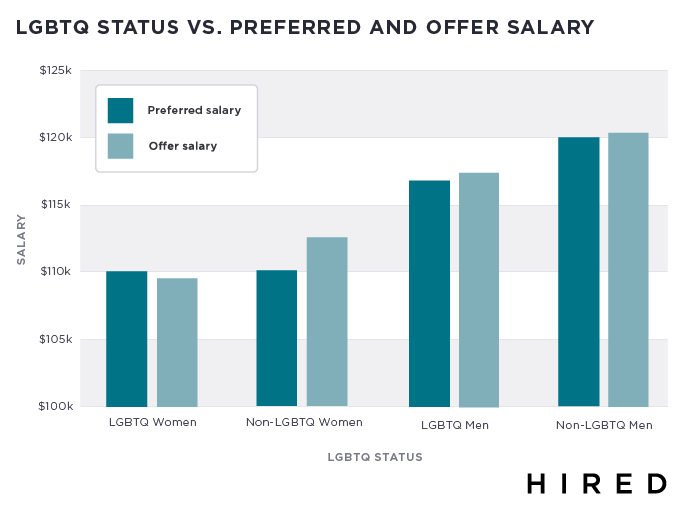 We also found that LGBTQ women are the only category of candidates who receive lower average salary offers than their preferred salaries. 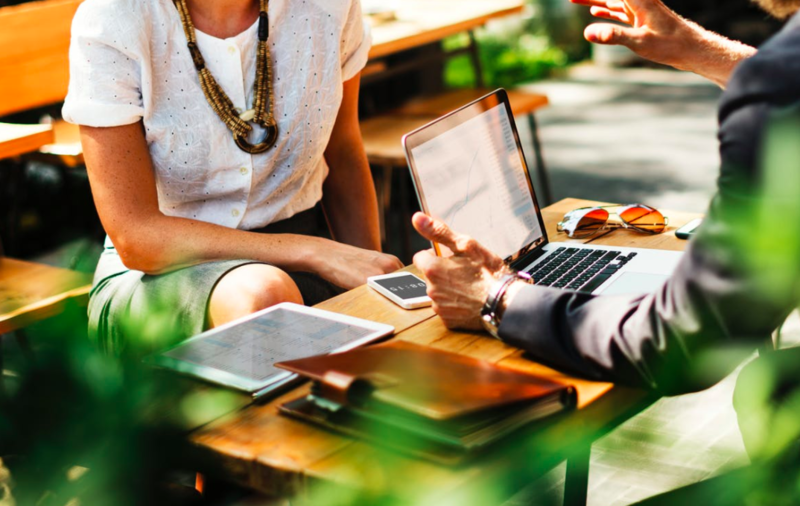 By providing insights about wage inequity in the workplace, we aim to empower companies and candidates alike to close the gap. 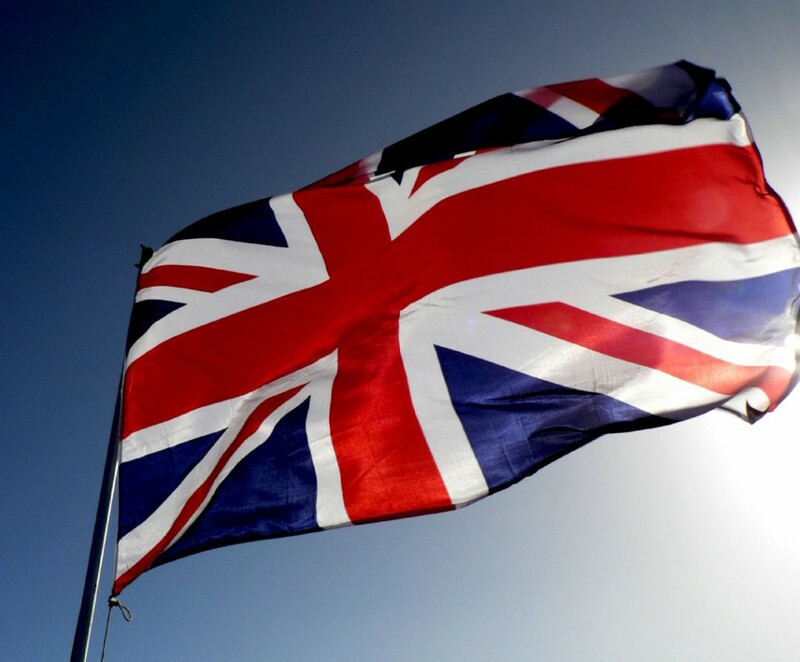 We hope to both inspire companies to use this data to inform their own compensation policies and arm candidates with the objective information they need to ask for a salary in line with their market value. In addition to our in-depth analysis, we’ll be hosting our second annual Women, Work, & the State of Wage Inequality event this evening in San Francisco to discuss the gender wage gap and how we can close it. Tune in to our Facebook Live as we stream commentary from thought leaders from Hired, Affirm, Pandora and ReadySet & Project Include discuss topics related to the gender wage gap. 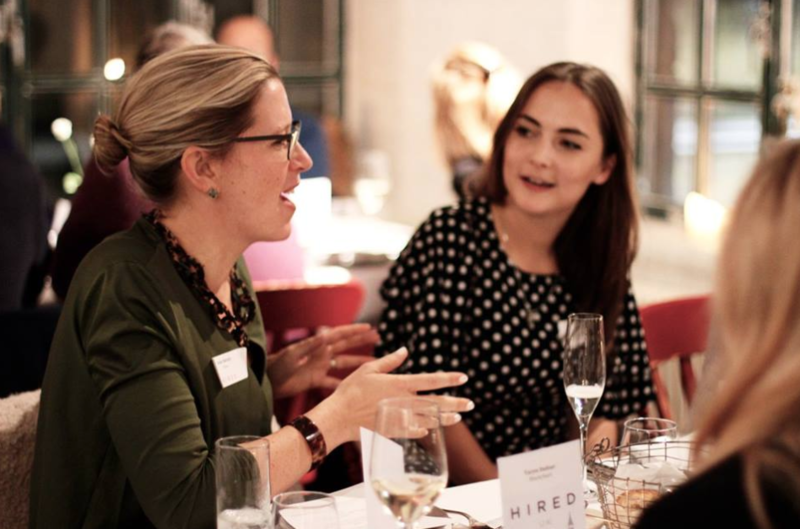 Jessica Kirkpatrick is a Data Scientist for Hired. Jessica joined Hired after leading ed-tech start-up InstaEDU through a successful acquisition by Chegg as the Director of Data Science. She is also on the editorial board for Data4America. Before making her transition to the private sector in 2012, Jessica earned a Ph.D. in Astrophysics from UC Berkeley, where she studied some of the most distant and brightest known objects in the universe, quasars, and worked with large and complex data sets. Today, instead of spending her days finding patterns in the structure of the universe, she spends them finding patterns in the behaviors of people in order to make technology work better for us all. In addition to her work in private industry, Jessica maintains an active role in giving back to the astrophysics community. She is the blogger-in-chief for Women-in-Astronomy, and a contributor to Astrobetter, Women 2.0, and Lady Paragons. She is also a member of the American Astronomical Society's Committee on the Status of Women in Astronomy.